Corner Edge Guards - come in a variety of materials, heights and thickness. 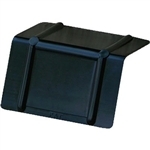 Our corner guards are manufactured by industry leading companies and will meet any requirement. With over 10 sizes, 6 thickness options, and 5 design styles to choose from our stock program meets most requirements. If you do not see a size or style that fits your particular requirement please browse our custom services for assistance. Our guards are sturdy laminated fiberboard and can be used to: Stabilize pallet wrapped or poly strapped pallets, eliminate shifting and provides support on double stacked pallets. 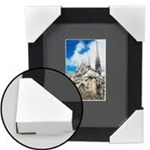 Avoid costly damage to products in shipment or in storage. Full pallet pricing available. Dimensions listed are panel inside dimensions followed by height.